However I couldn't really find much useful information about specific layouts, especially things like pastemask layout and minimum safe gap on such pad shapes. Please note, that the goal of these footprints is not to replace original footprints specified in manufacturing standards, but rather make prototyping the product easier, when the ammount of devices is in hundreds rather than millions. If anyone has any useful materials, or even clues where to find such info, it would be really nice to share them here. EC 61191-2:2017 Printed board assemblies. We use just a zero ohm jumper - it's reliable and not very expensive. Usually, you want to avoid solder bridges. If you want a removable short, you can use either a thin copper trace instead, with component pads in case you want to remake the short, or as mentioned in Duck's answer, a 0 Ohm resistor. All the production equipment (Stencils, AOI programming, ICT tests) is geared to detect and warn against such bridges. Not the answer you're looking for? Browse other questions tagged pcb surface-mount footprint manufacturing or ask your own question. Pick and place machine + AAA battery holder? 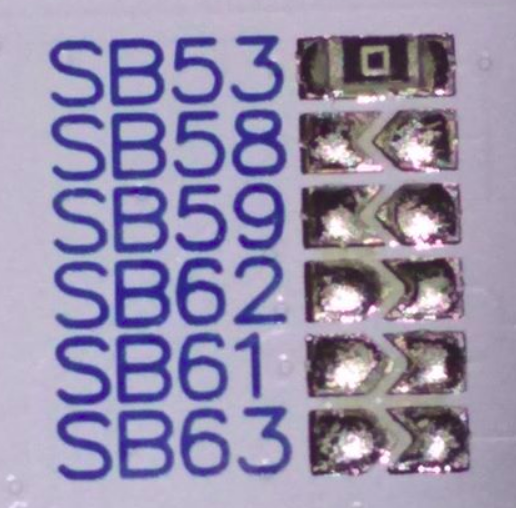 Which SMD footprints can be hand soldered and which can't? Why do KiCad's library footprints for 0402 resistors and capacitors have different pad sizes? How to deal with unused components in pick-and-place file?